Our story The moon and its light has always been a source of wonder, fascination and enchantment. This is the inspiration for Moonlights, our functional-art project. Each Moonlight is a beautiful fusion of function and art. An individual creative expression, hand-crafted from rice paper and designed as a vessel to enjoy ‘light’ differently. Our classic Moonlights range (wall and table lamps) helps you recreate the beauty and magic of the moon light in your own environment. 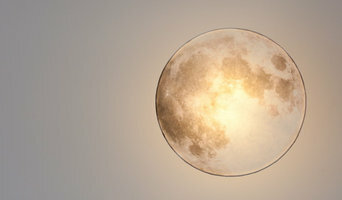 You can have a bright moon or dim it to a very soft glow to create different ambiences. In our aim of creating meaningful environments we expanded our Moonlights range with Booklights, a series dedicated to explore the world of books and writers, exposing their magic stories for new interpretations. Jane and Alice –our beautiful pendant lamps– are the first of our books/writers light stories. Moonlights, functional art objects that tell a unique story in light and shade. Are you ready to create your story? 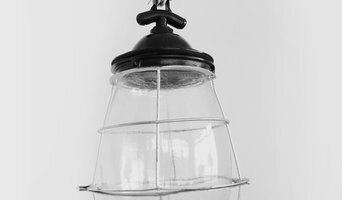 Lighting Designers and Retailers of quality NZ made and imported light fixtures. The ideas for my lampshades came to me some years ago, but it was only last year that I decided to turn thoughts into reality. My inspiration comes from all around, but one source that does inspire me is the aircraft I work on in my day job as an aircraft engineer. The big engines of Boeing 747s and 777s have a certain sort of grace and symmetry which I find satisfying to look at. Other sources come from the world of nature, I recently holidayed on the Queensland coast where on a beach walk on Coochiemudlo Island, we came across the flower of the orange mangrove, I have designed two lamps based on this little flower. I have named my lampshades after small towns and villages that I have been lucky enough to visit and holiday in over the thirty plus years that I have been back in NZ, most of the names are from Northland and The Bay of Plenty. I have more designs planned, and I will bring them into fruition over the course of the coming year, watch this space. Loftmotif supplies a handpicked selection of minimalist and industrial lighting and furniture designs for commercial and residential spaces. With a focus on mid-century vintage lighting, our range of light shades and glass bulbs add a great retro look to any cafe, bar or home. Each shade has slight imperfections to give every piece a unique look and add a touch of vintage authenticity. We provide professional, impartial, independent and creative lighting design services for the professional architectural market. We differ from other lighting designers as we come from architecture and interior design backgrounds. Darkarts Studio are independent from suppliers and manufacturers so are flexible on specifications and designs. We understand building structures and the integration of lighting into the building fabric. We have great knowledge on control systems and help with focussing and scene setting. Our designs are always supplied with a strong conceptual focus, helping you to visualise our lighting design proposals through 3D hand sketches, photoshop, mood images and lighting models. White Light is a lighting design and production lab using digital craft to create customisable and bespoke lighting products. Give your home a face-lift with The Lighting Shop's boutique selection and personalized in-home specifications. 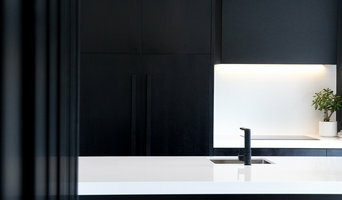 Moth Light is an architectural lighting design and supply specialist. We provide lighting solutions - from lighting design to product supply and project coordination. We worship light. We're obsessed with it. Light allows us to see, live and simply be. It's all about solutions. Moth Light has the lighting solution for you. From residential through to commercial, we've got it covered. We are passionate about innovative ideas that enrich the lives of those who engage with our projects. Efficiency, in every sense of the word, is of paramount importance to us. We believe that clever design and intelligent products hold the key to using less. We use high quality products that stand the test of time, both in build quality and style. We're here to help with your architectural lighting project. Студия освещения и Декора "Edison Creative Shop"
Современный интернет-магазин освещения и декора. Над созданием дизайна люстр и подвесов работает молодая и креативная команда разработчиков дизайнерских светильников в стиле Loft, Авангард, Modern, Hi-Tech, Retro, Винтаж. Особенностью магазина, является, изготовление люстр и элементов декора,- под заказ. Светильники разнообразных цветов и форм, наполнят Ваш интерьер уютом и создадут атмосферу уникальности. У нас работает дизайнер - смело присылайте фото необходимых Вам светильников, LED, люстр, бра, торшеров - МЫ ПОДБЕРЕМ ДЛЯ ВАС ТАКИЕ ИЛИ ПОДОБНЫЕ! Или Привезем под заказ, если такой модели нет в Украине! Работаем с разными производителями: Австрия, Польша, Испания, Китай, Украина. Помещения, в которых присутствуют предметы ручной работы, приобретают изысканный и оригинальный вид. Мастер изготовит светильник к Вашему неповторимому дизайну. А главное - цвет плафона, провода и основания, в категории «ручная работа», выбираете Вы сами. As an international company Murano Plus brings to New Zealand and Australia innovative lighting inspired by the classics and the futuristic. Our product design is driven and inspired by the skills of master craftsmen worldwide from Europe, the USA and Asia from where we design and source. Our clients are principally Designers, Architects, their clients and others who recognise the design integrity of our products and understand the wonderful value they offer. A master of materiality, every piece James creates is unique and handcrafted with the highest quality materials. He draws on a wealth of industrial design knowledge to effortlessly transition between use of glass, ceramics, timber, brass and aluminium in his creations. Designed to last a lifetime, James’ lights create feelings of warmth, intimacy and whimsy in both commercial and domestic settings. 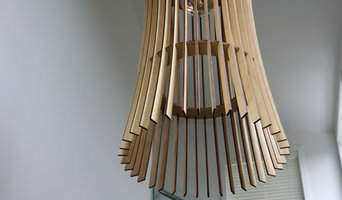 Pendants painstakingly handcrafted from paper thin timber and elegant cast glass pieces create a statement in any space. No idea is out of reach for James– he will devise an artistic and functional solution for any brief. 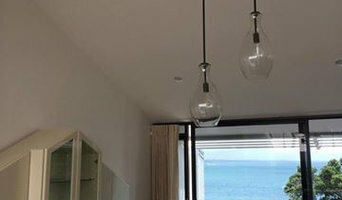 We are lighting manufacturers and designers of architectural customised lighting for commercial builds, hotels and residential areas, both here in New Zealand and off shore. We have stayed true for 19 years to our ethic of using New Zealand made materials and a family based staff. We work to the highest standards, and always stretch the design process to build unique lighting features. Our largest fitting so far was, 3.6 metres in diameter and a rectangular feature of 5 metres long. We have our own Lighting Engineers, Wood Turners, Metal spinners and benders, Copper Weavers and call on artisans, if required to finish the manufacturing process with us. We have an on-site electrician and up-skill ourselves continuously on seismic restraint rules and changes in the regulations for lighting requirements. Talk to us about your design idea, and we can make it happen.